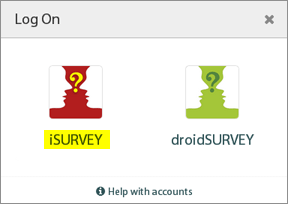 Almost 5 years ago our talented team of developers started writing the first offline survey app for mobile devices – iSURVEY. We released iSURVEY to Apple’s then fledgling App Store about 4 and a half years ago for use on iPhones and iPod Touch. From those leading edge beginnings we have branched out into the world of tablets and other devices, both iPads and all of the Android devices from phones to 10” screens. It’s been quite a journey. As time has gone by, what we have found is that although we originally built iSURVEY and droidSURVEY for market research, there are a lot of lateral thinking people looking for solutions to slightly different problems and they showed us that we didn’t just have great survey apps, but that we had great data collection apps. The site is structured to better reflect the wide range of uses that you, our clever customers, have found for iSURVEY and droidSURVEY, and to make it easier for potential customers to quickly ascertain if our apps are going to be right for them.